According to Dr Carlos Lopes, Executive Secretary of the United Nations Economic Commission for Africa (Uneca), the continent needs to adopt the “development state” model currently seen in Ethiopia and Rwanda, “which have been central to the process of accelerated economic growth and transformation of any country”. 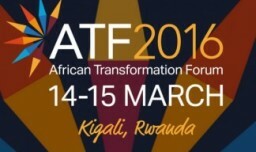 Dr Lopes was speaking at the inaugural African Transformation Forum held in Kigali, where experts urged African government, to step up investment in agriculture. On the other hand, the Programme manager for economic opportunities for youth at the MasterCard Foundation Alemayehu Konde Koira observed that treating the sector, as a business would encourage youngsters to join it. The forum concluded with the official launch of the Coalition for Transformation in Africa – a network of experts working across sectors and borders to drive policy and institutional reforms.